Hello again! Thanks for following along on my Farmhouse Glam Laundry Room Makeover for the One Room Challenge, hosted by Calling It Home. In case you're just jumping in on this journey with me, you can get caught up here on Week 1 and Week 2. 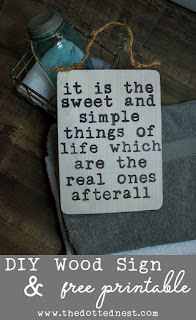 Confession, the past couple of weeks was a little chaotic with Easter and two sick kids, so I didn't get as much accomplished as I would have liked. I even missed posting for Week 3! But that's OK! Real life, AKA "Mom Life" sometimes has to take priority. 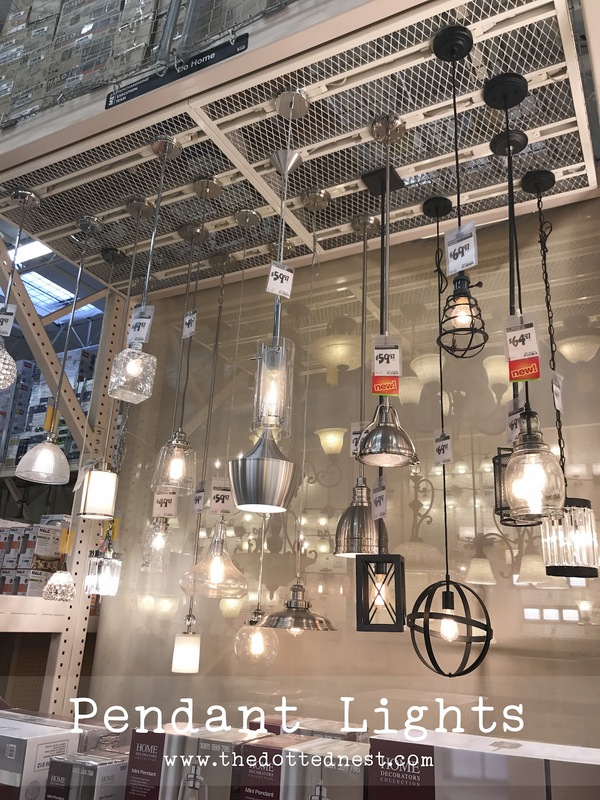 I did manage to fit in a trip to Home Depot and Lowe's to check out some lighting options in person, and to be honest I'm more confused (and slightly frustrated) than ever on what to pick. If you follow me on Instagram, I posted a photo with a few of my top lighting picks. So let's get to it...how do you pick the perfect lighting source for a Farmhouse Glam Laundry Room that will be the main source of light, encompasses the style you're going for, and is also the right size for the space? Agh! Send me coffee! 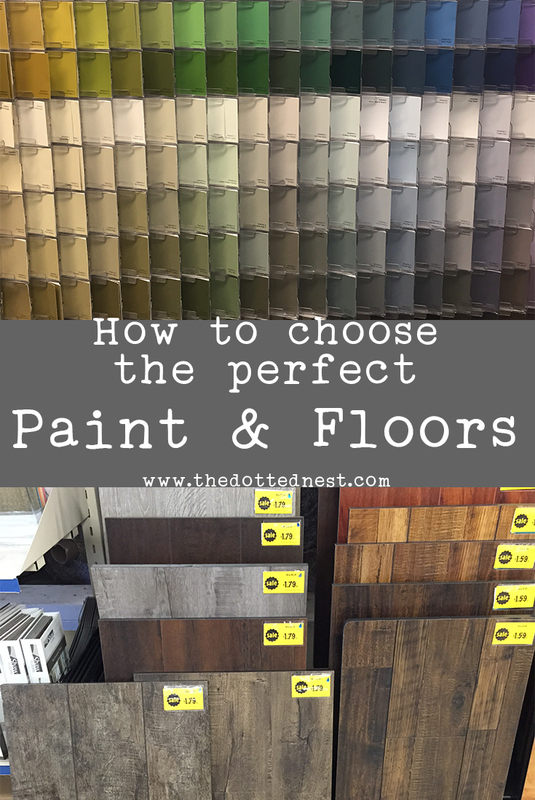 Last week I talked about paint and flooring...you can find out all my color choices and tips I share here. 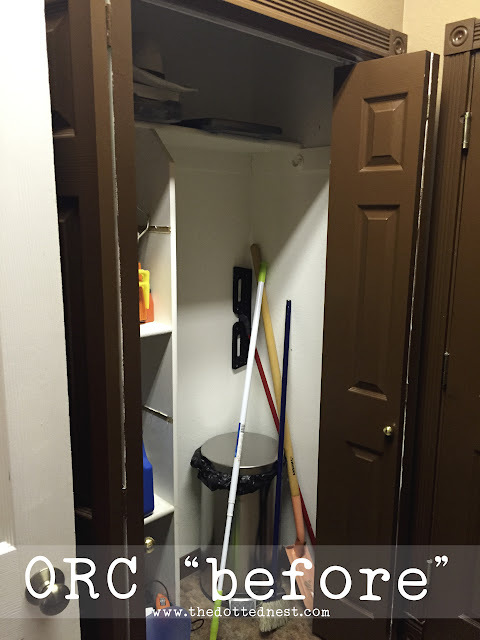 And now for the "Before" photo of the lighting situation that is currently in the laundry room. Brace yourself...it's not pretty! 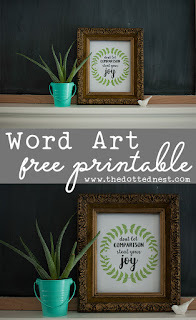 Disclosure: This blog post contains affiliate links for your convenience. Please see here for more info on affiliate links, and thanks for helping me keep the lights on! How sad is this fluorescent light?! It doesn't even have it's cover anymore. Oh, and the bulbs burnt out a few months ago and we didn't replace them since we knew we were going to get a new light soon. We have been using this light in the meantime. 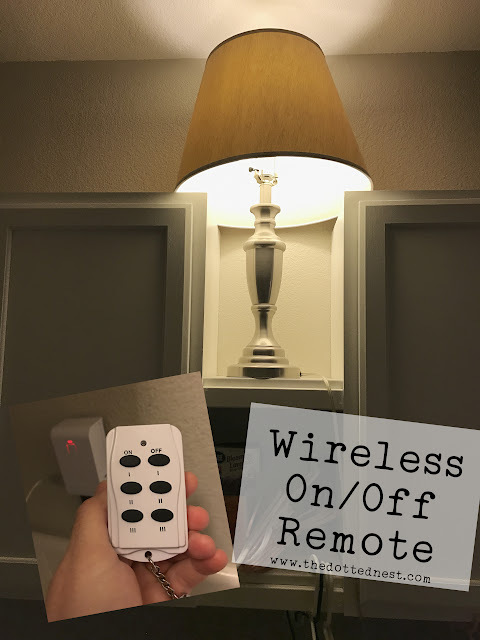 The only "cool" part about the current lighting situation in my laundry room is this little remote on/off gadget that I plug the light into. Hey, whatever works, right?! Also? For such a small tiny room, the builder sure managed to make the ceiling quite crowded! An AC vent, a fan vent, a light, attic access...you can see my frustration with trying to find the best light for the space that I have! 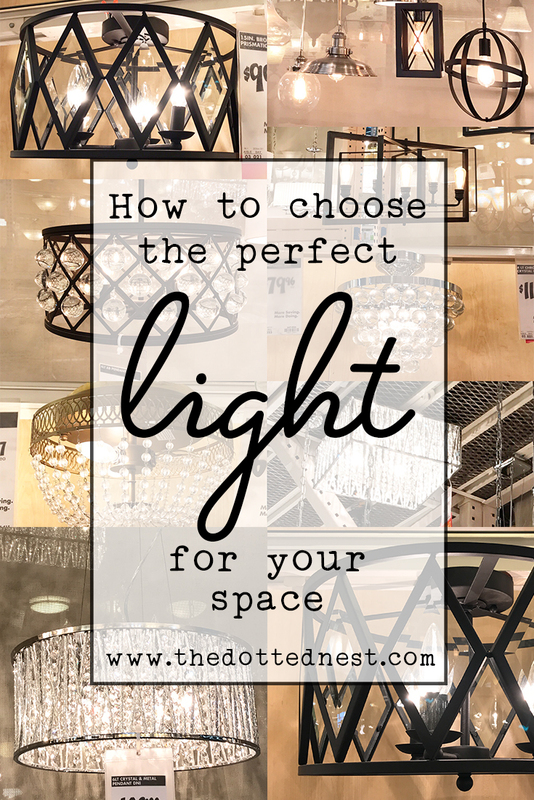 The very first thing you'll want to do is decide on a style and type of light. Do you want a vintage chandelier? Or maybe some recessed lighting? A pretty pendant light, or perhaps a clean and chic flush mount? For my Farmhouse Glam Laundry Room, I really wanted a chandelier like this one. 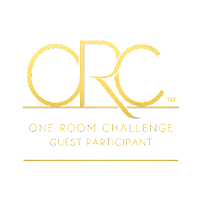 Unfortunately, I wasn't able to find a chandelier style that would work within the constraints and restrictions of the room. Once I determined which style would work best, I was able to narrow down my choices. I also love recessed lighting, I really like the clean and simple look it offers. For this room, I really wanted to add character with the light. 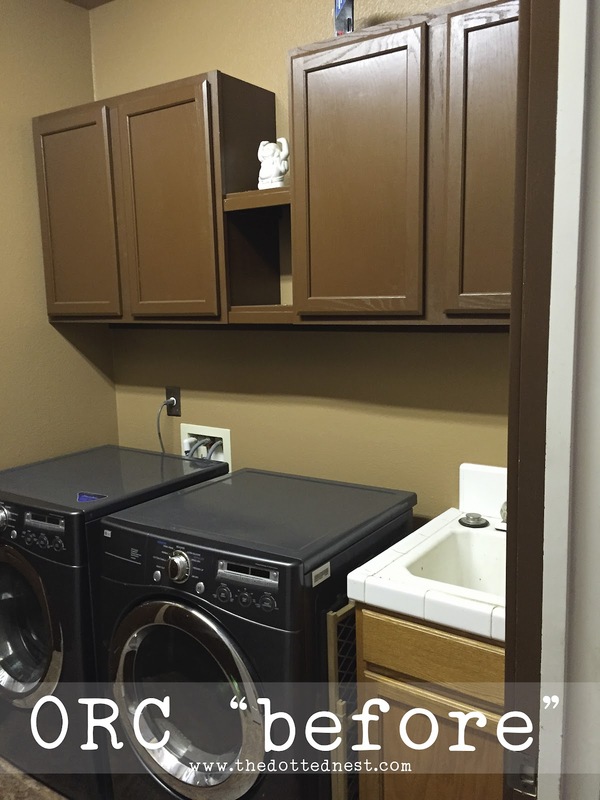 Lighting can really help pull the room together and set the mood, and since there is only so much you can do with a small laundry room I really wanted to make sure I wasn't missing an opportunity to give the room a focal point. 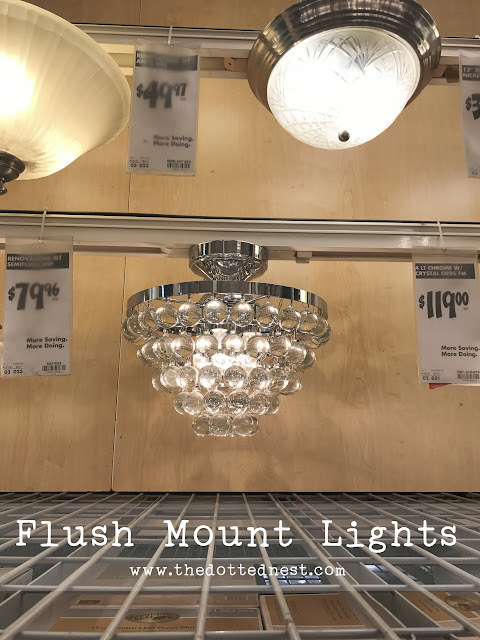 We decided on a Flush Mount style light for the laundry room. 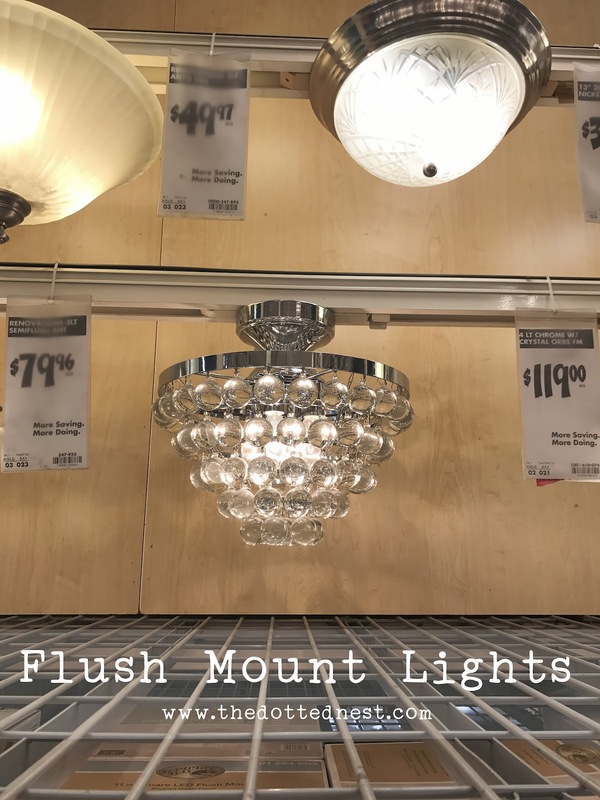 A Flush Mount will give us the character we're looking for, but works better than a chandelier in the space. This is a tough one. I think the "experts" would probably say to make sure you aren't getting a light that is overpowering the space. I do think it would look a bit odd with a huge chandelier in a small laundry room. However, if the light that you've fallen in love with is a little large for the space, or maybe even a little small for the space, but you absolutely love it? Then I say go for it! YOU are the one that has to live with your choice. Ha! It's not a bad idea to keep the scale size in mind when shopping though. If a light you love is on the small side, do you have an option to add an additional light source to help off set the smaller light? Smaller light = less light. Just something to keep in mind! It might look bright in the store, but will it be bright enough as the only light source? This was honestly something that I really had a hard time with. Because the light in the laundry room will be the only light source (no windows) and the space is small and dark, we really need a light that can put out a lot of light. The light also needs to be on the smaller side. I have plans to install a laundry drying rack/bar for hang drying, and the attic access is almost in the center of the ceiling, which makes the placement of the light difficult. Too big, and it will constantly be in the way of the hang drying bar, too small and not enough light (or character!). 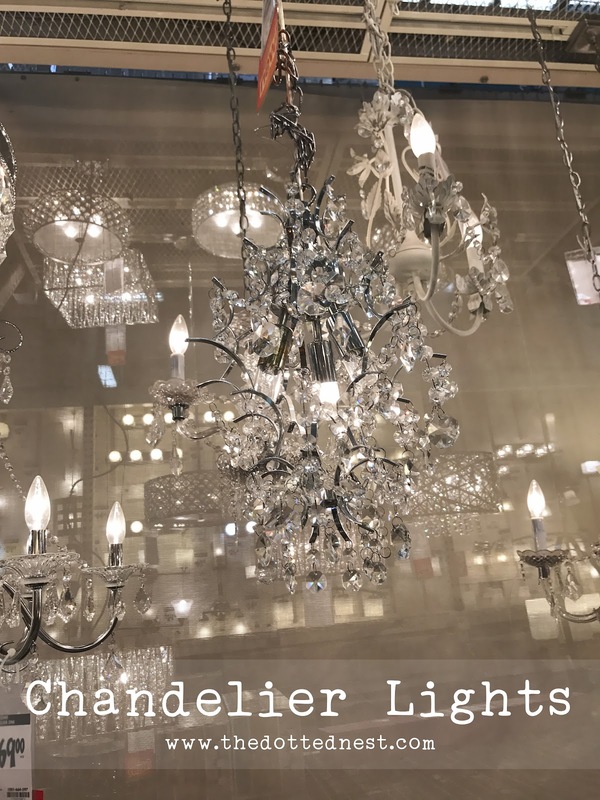 Part of remodeling and design is learning how to do work-arounds and be flexible and creative, and be willing to let the dream of a chandelier die when it's just not working! ha! This is kind of redundant, but there are SO many options out there! Make sure you have settled on a budget for your light, and stick with it. Don't look at lights completely out of your price range, because you will fall in love with one and then every other light you look at will never be able to compare. Not that I speak from experience or anything. 😏 But really, don't do that to yourself. If you do find the perfect light in your price range, buy it! I am kicking myself for not buying a discontinued model that was heavily discounted. When I went back to the store the next day, it was gone. 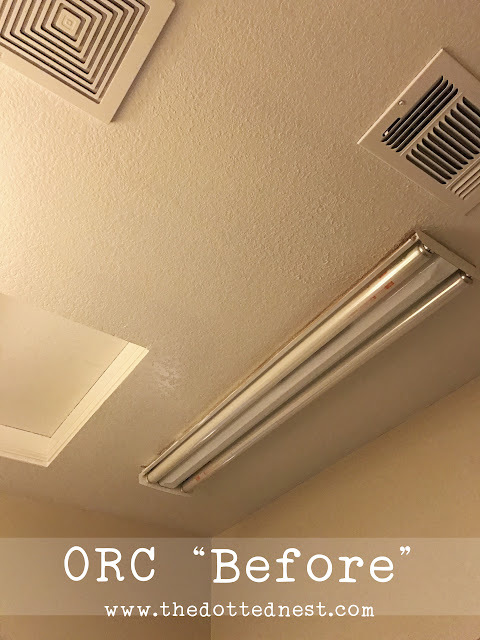 If you can't find the perfect light in your price range, consider turning it into a DIY project. The Habitat For Humanity ReStore that I visit always has several lights. Budget friendly, and you can personalize it. A little bit of spray paint can go a long way! 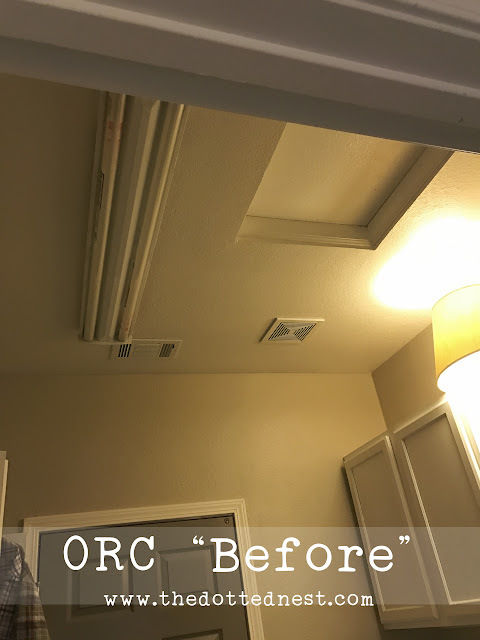 I almost DIY'd the light for my laundry room, until I found the perfect light... I can't wait to show it off soon. 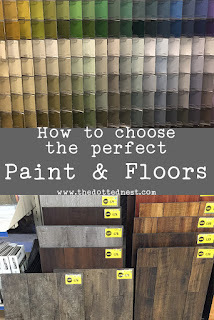 If you like shopping at Home Depot or Lowe's, make sure you check their websites before you visit the store in person. They both have a pretty large selection online, and obviously can't display them all in the store. Amazon has some amazing deals on lights. I am such a visual person though, so it's sometimes hard to make a purchase like that without seeing it in person. If you have a Prime Membership ; it's not too bad since you *could* order a light and return it if it's less than you expected in person. I found a couple on Amazon and then went to Home Depot to find a light with similar dimensions/style to kind of gauge if the Amazon light would work. You can use this handy calculator guide from Lightology.com to help you determine what size and scale you need for your room. I found it helpful for making my choice, although I didn't follow it exact. I hope those tips help you choose the perfect light for your space! I can't wait to reveal which light I finally picked. 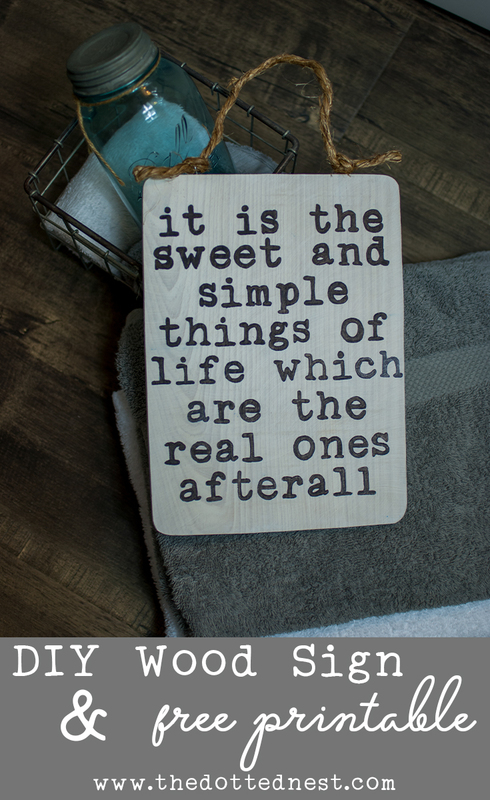 It's not what I expected to choose, but it's perfect for my Farmhouse Glam Laundry Room. 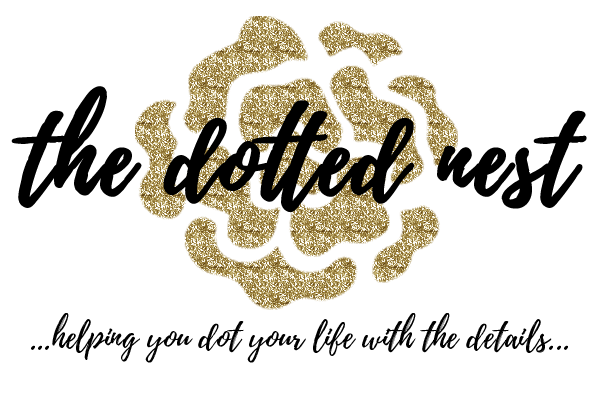 I just might do a sneak peek Live Video in my Facebook group Dotting Your Nest later this week after it's up. Come join the group and continue the discussion!